Changing your decoration is easier and faster than ever ! 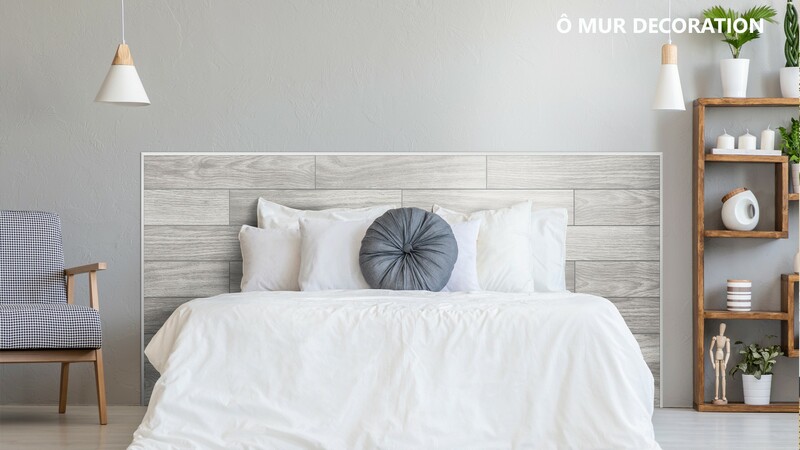 Ô MUR is a unique and innovative fixing system, which allows you to lay clip floors on the wall. This ingenious system, very easy to set up, offers you numerous creative possibilities to decorate, renovate and fit out your interior. 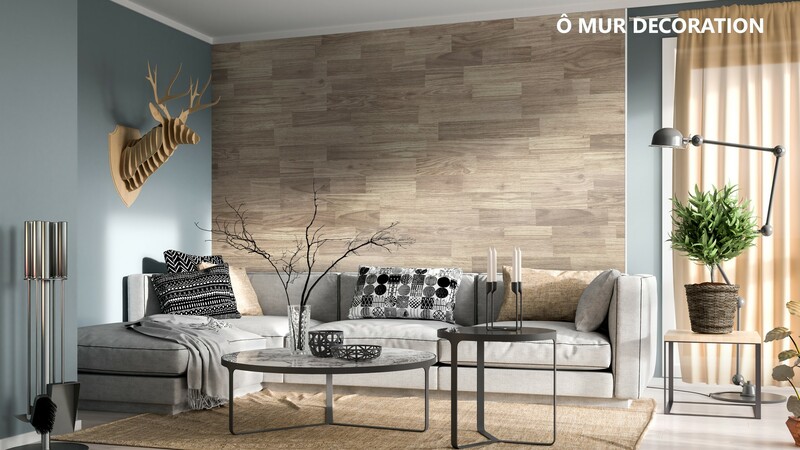 Ô MUR is a new system to install floorings on your wall, which allows to renovate and/or decorate in creative, funny and economic way, all or part of the walls. Thus, you benefit from an interior in a unique and inimitable style, in a few steps. 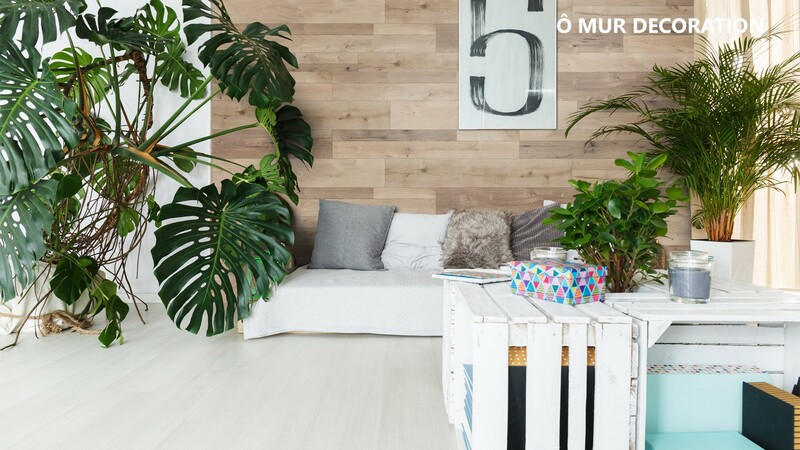 Numerous combinations are possible as Ô MUR is compatible with all the parquets and laminated clip floors, regardless their thickness or their material. A perfect and quality finish. 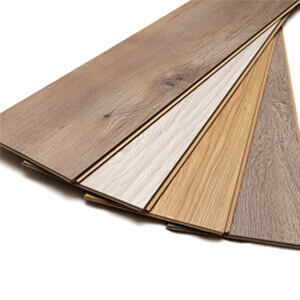 The Ô MUR system is universal and adapts to all clip-on floors on the market. A multitude of decorations are available for a cosi and modern decoration at the same time. 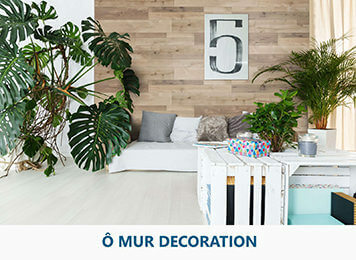 Ô MUR DECORATION system plays with materials to decorate your home. This solution for installing parquet flooring on the wall will allow you to create a unique wall decoration adapted to your style and desires. 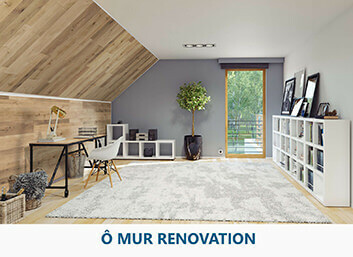 Ô MUR RENOVATION system allows you to renovate attics in a simple, quick and original way. 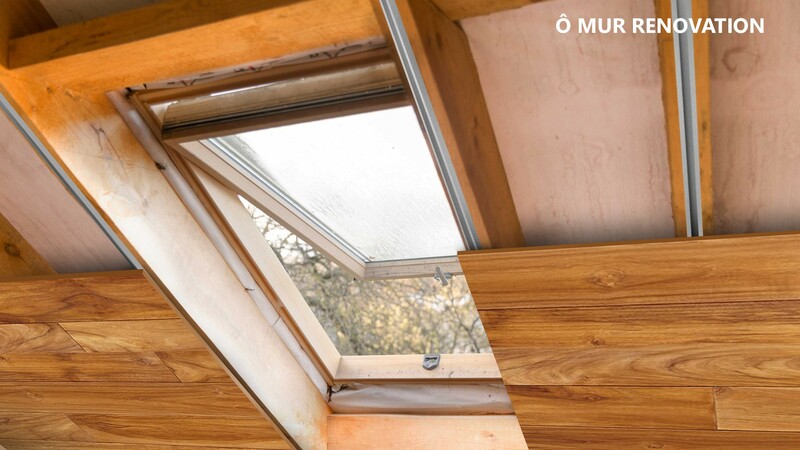 The aluminium studs Ô MUR are perfectly adapted for an installation under the roof. 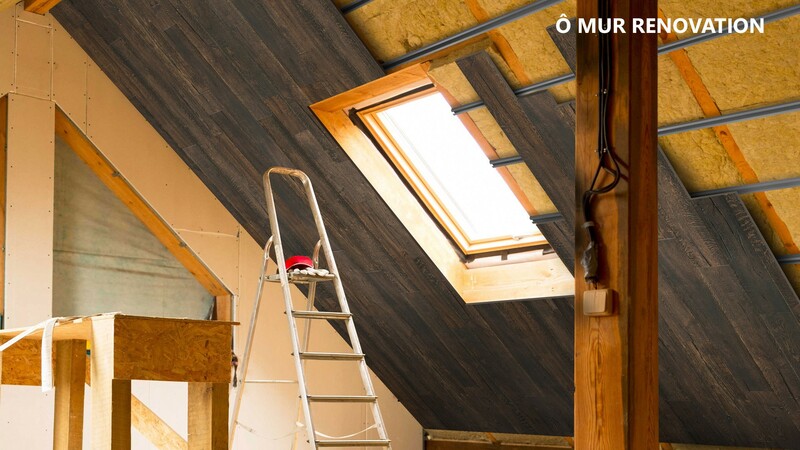 The installation of the Ô MUR RENOVATION system is as easy and quick as the installation of a floor covering for a modern renovation of your interior. 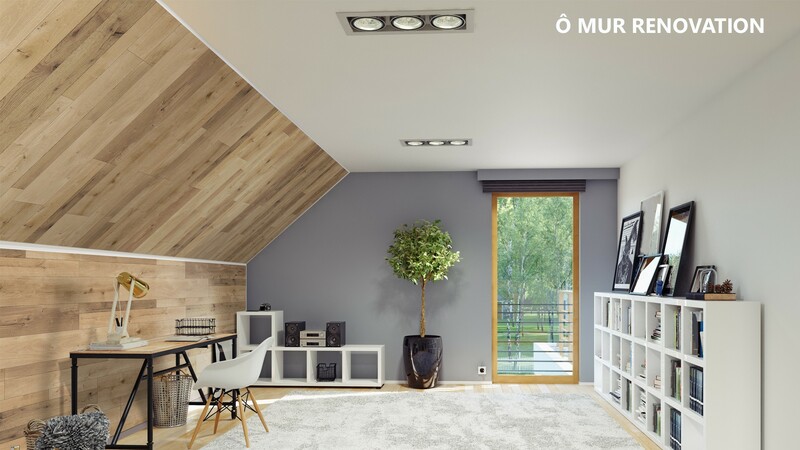 The Ô MUR system, an ultra trendy wall installation, makes it possible to quickly redesign a room by facilitating the installation of a covering initially intended for the floor on the wall. 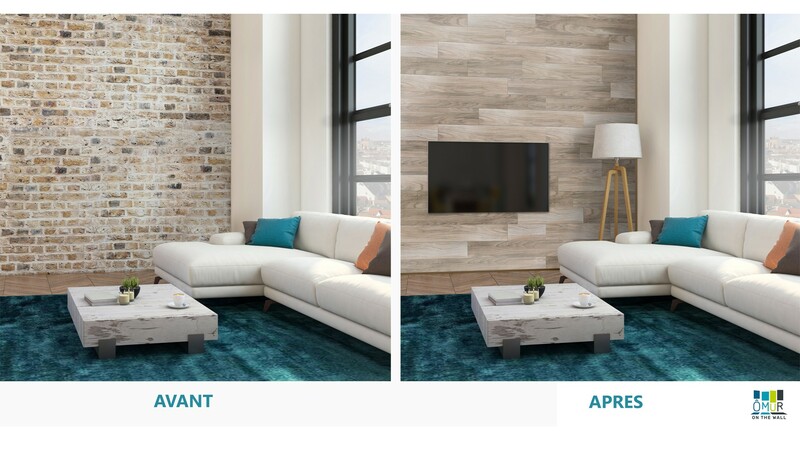 An original way to rethink the total or partial covering of the walls, to change the paint or wallpaper. 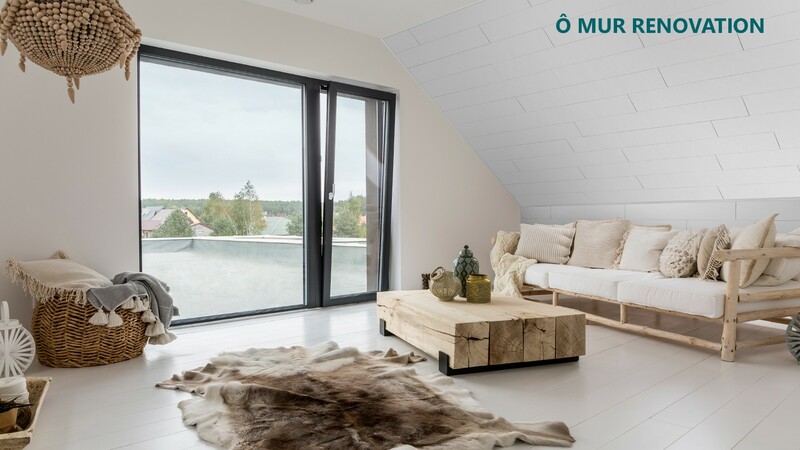 These panels allow you to have the complete installation kit in order to realize your project Ô MUR Renovation or Decoration. It is up to you to leave the white panels plain or paint them in the colour of your choice. Foldable finishing profiles that easily adapt to all finishing needs. 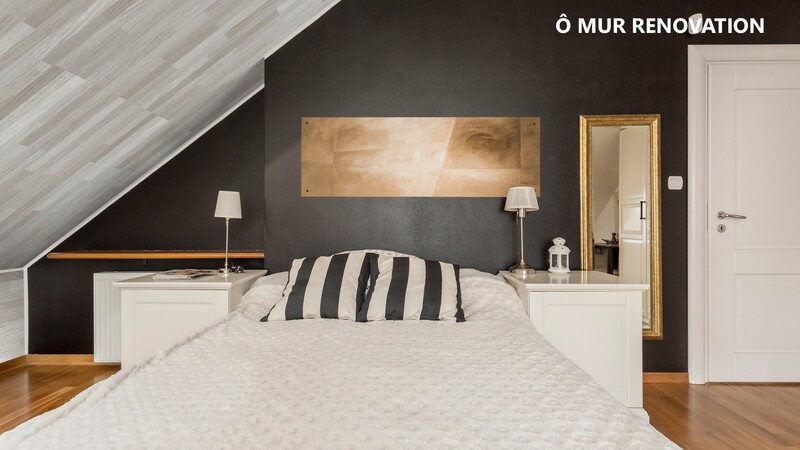 They will complete your Ô MUR project in order to achieve perfect finishes for your walls. The 3 in 1 profiles of Ô MUR are adhesively attached. 6 profile colours are available, including 1 ready to paint to suit all interior decorations. Leveling clamp Ô MUR which allows to position the floorboards horizontally or vertically. This leveling clamp will be useful for all your projects Ô MUR Decoration or Renovation. 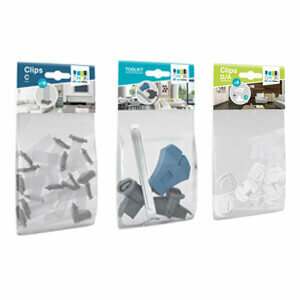 Practical, it clips onto the supports and leaves your hands free to carry out your project.